Thanks again Disney Books for sending me a copy of this book to review and for partnering with me for this giveaway. I finished reading Heart Talk by Cleo Wade and started Pep Talks for Writers by Grant Faulkner and Swing by Kwame Alexander and Mary Rand Hess. I'll be reading more of Swing and Pep Talks for Writers and I need to start A Perilous Journey of Danger and Mayhem by Chris Healy. I also need to look for a new audiobook. Any suggestions? Congrats to the winner of Santa Bruce. That looks cute. Thank you for hosting. Have a great week! 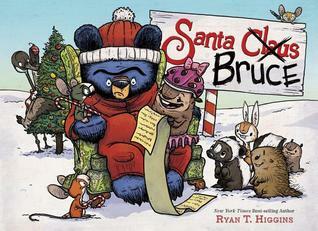 Can't wait to read Santa Bruce. Looked like a fun giveaway. I too will be looking forward to reading Santa Bruce! I can't wait to hear more about Ada's Violin. I'm teaching a music course for elementary teachers this semester and am trying to get a good list of children's books that discuss various aspects of music. Hoping this one will go on my list! 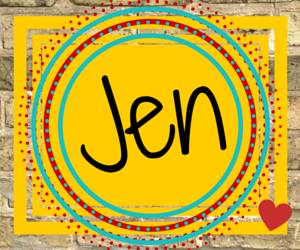 Thank you for sharing your list and for hosting IMWAYR! 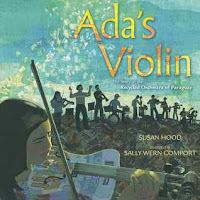 I too enjoyed Ada's Violin. I haven't had any audiobooks knock my socks off recently so I hope someone else can give you some titles.